TWO TRADE UNIONS have today called on the government to provide support to organisations giving food assistance to people around the country so they can meet the demand on their services this Christmas. Today Mandate and Unite released a map with a county-by-county breakdown of food poverty in the country, to highlight this demand. Nationally, one in ten people suffer food poverty. Those suffering food poverty may be lone parent families; they may be the newly unemployed; they may be pensioners – and they may be people in work, struggling to survive on low wages. Today the unions demanded that the government provide “immediate aid” of €10 million to organisations offering food assistance and to reverse cuts to low income groups in the new year. They also called for an increase in the minimum wage – something the country has not seen since 2007. 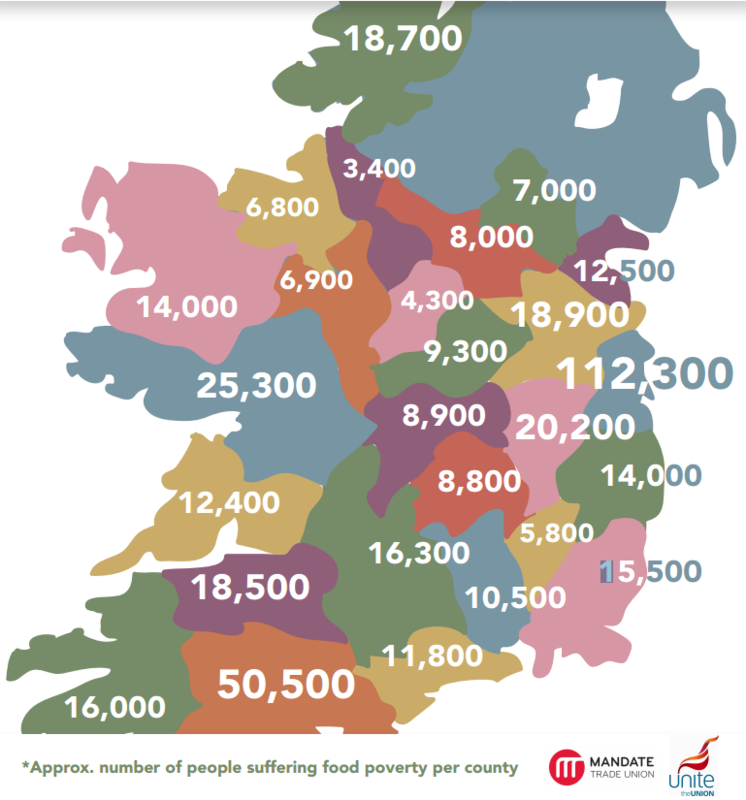 Email “This map shows food poverty 'is a reality in every county in Ireland'”. Feedback on “This map shows food poverty 'is a reality in every county in Ireland'”.